Automatic, 20 inch wheels, 4WD, air conditioning, beige interior, black exterior. Price: AED 149,000. Automatic 2016 Nissan Patrol price AED 240,000, with 18 inch wheels, air conditioning, CD player, beige interior, white exterior. GCC spec. AED 132,950 for this Automatic Nissan Patrol with 22 inch wheels, roof rails, fog lights, beige interior, black exterior. 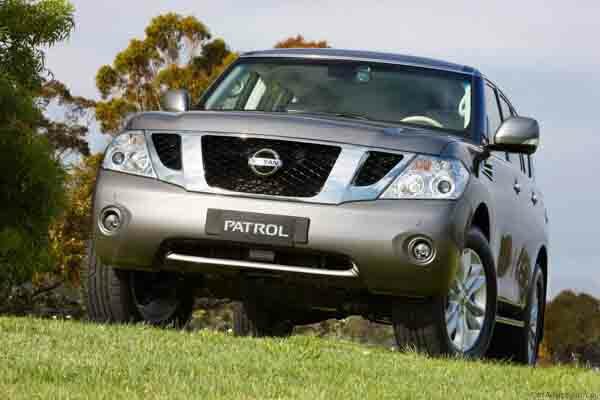 Nissan Patrol with many features, including front camera, parking sensor front, fog lights. White with tan interior. Automatic, 20 inch wheels, xenon headlights, airbags (front and side), beige interior, white exterior. GCC spec Nissan with Navigation system, 22″ wheels and Parking sensor rear. Price reduced! Reduced price! White Nissan Patrol Platinum from 2016 with beige interior. GCC spec 2010 Nissan featuring air conditioning, power locks, radar. White with beige interior. Grey/Silver 2018 6 cylinder SUV/Crossover. Other color interior. It has leather seats and fog lights. 2017 Nissan Patrol price AED 178,000, with rear camera, airbags (front and side), keyless go. It has other color interior and is Brown. GCC spec, black 8 cylinder SUV/Crossover with beige interior. It has CD player and adaptive lighting. Grey/Silver 2015 SUV/Crossover for AED 130,000. Tan interior. It features tuner/radio, 20 inch wheels and tyre pressure warning system. Automatic 2017 Nissan Patrol with 18 inch wheels, parking sensor rear, MP3 interface, beige interior, white exterior. GCC spec. GCC spec 2013 Nissan featuring keyless go, DVD-player, airbags (front and side). White with beige interior. GCC spec Nissan Patrol, white SUV/Crossover with tan interior. It features AUX audio in, 20 inch wheels and tyre pressure warning system. Price: AED 129,000. GCC spec Patrol from 2018 with a 8 cylinder engine. White SUV/Crossover with tan interior. It has CD player and power locks. GCC spec Patrol from 2018 with a 6 cylinder engine. Grey/Silver SUV/Crossover with beige interior. It has power locks and USB. 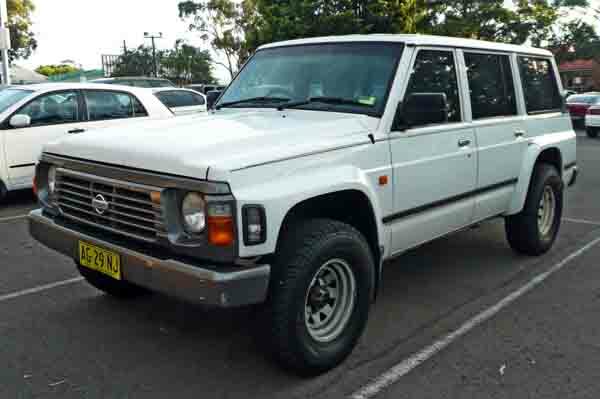 Nissan Patrol with many features, including ABS, power windows, 4WD. Grey/Silver with tan interior. GCC spec Nissan Patrol with Parking sensor rear, 22″ wheels and Hill descent control. Price reduced! GCC spec Nissan Patrol, black SUV/Crossover with tan interior. It features power locks, 20 inch wheels and bluetooth system. Automatic 2016 Nissan Patrol with 20 inch wheels, spoiler, 360 degree camera, tan interior, grey/silver exterior. Automatic Nissan Patrol with 20 inch wheels, power windows, sunroof, black on the outside, beige interior. Omar - I bought my used Nissan Patrol LE Platinum last year from a dealer after seeing it online. Excellent specs for Dubai as the a/c is super, the rear entertainment package keeps my kids entertained and the cooled seats work wonders when it’s 50+ degrees outside. Pros: The VVEL DIG transmission, options, space and off road abilities. Cons: Can be hard to park due to small spaces. Aboud - I imported my Patrol SE last year from Europe as it was the only part of the world I could find one of these cars at a reasonable price. It may look old. But that’s why I wanted it as you never see them on the streets of the UAE. Going off road is a blast in these cars! Cons: Due to its age it can be hard to find parts. Hameed - Pre owned Nissan Patrol’s are the best cars to buy. Nice price, very good options inside even though the XE version can have less options but still has strong air conditioning and navigation system can easily be installed. Pros: Off road driving, interior and safety features. It’s not just Dubai that is surrounded by desert, the entire region is covered in soft sand, and there are very few SUV’s that can rival the off road abilities of the Nissan Patrol. Not only is the Patrol great off the road, but the interior can also be decked out with almost anything you can think of. Cooled seats, Navigation, Bluetooth, rear entertainment package and a cool box. What else do you need for the UAE? With the above mentioned, the Patrol can handle eight passengers with ease, and if you would like a more luxurious cabin, a seat can be removed in the second row. Patrol’s have excellent resale value not just in Dubai, but around the GCC and select export markets. If V8’s are not to your liking, V6 models are available in SE trim. 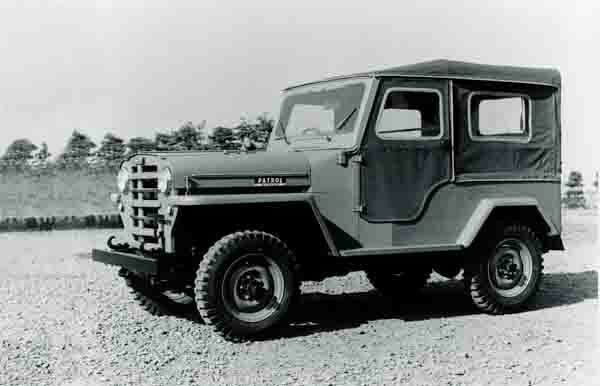 Debuting in the early 50’s, the Japanese brand witnessed the success of the Willy’s Jeep and had to make their own rival steal the spotlight. While they did this, the Patrol popularity didn’t happen overnight. Instead, it took many years. Since then, they have dominated the GCC region most notably in later years with the Y60, Y61 and Y62 version. Due to its immense popularity in the region, many special editions have been commissioned for those who can’t get enough. Road Rivals: Lexus LX 570, Toyota Land Cruiser and the Chevrolet Tahoe. This is where is all began. 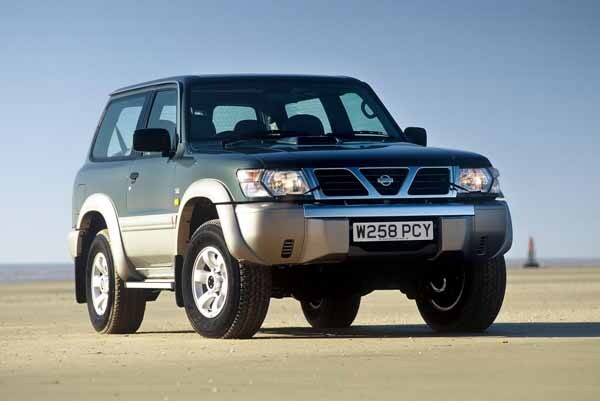 In its first generation, the Nissan Patrol is available as a two-door SUV or pickup. Not only was Nissan trying to take away sales from the iconic Jeep, they followed a similar design pattern. With its simple design and a simple interior. Just fabric seats, a steering wheel and a manual gear lever. All models are four-wheel drive and are powered by a selection of inline six cylinder motors. Manual gears are the only ones available. Looking for a used Nissan Patrol for sale in Dubai, UAE? Finding one in this generation has proved difficult even for elite buyers. Search hard enough, and you may get lucky. In its second generation, the rugged SUV sports a different look to the one found on the previous generation. Gone are the wheel arches that stick out and in their place is are fuller ones instead. The front grille and headlights sit further back; the front end is curved instead of straight, and the rims feature a new design. The interior is also unique however the features are not. Side doors are mandatory but can easily remove with a little bit of elbow grease. Four wheel drive is the favourite once again mated to a manual gearbox. A single six cylinder motor is available. Want to buy a pre owned Nissan Patrol for sale in Dubai, UAE? Prices are unknown for this generation as these models pop up for sale infrequently. In its third generation, the rugged off-roader sports a new body that is not only more robust but boxy in design. All models are equipped with leaf spring suspension and a choice between brown or blue interior trim. Other colours are available around the world. Options drastically improve and now includes a radio, sunroof, air conditioning, cassette player, better sound system, roof rails, larger wheels and rear mounted spare tyre. Six cylinders power all four wheels with a variety of displacements. Automatic transmissions are also available alongside the manual ones that powered the cars for two generations. Rear wheel drive models are also available. V8 models do exist. However, they are exclusive to military vehicles. In the late 80’s, a slightly altered version of the Patrol launched in select countries. Their most distinct characteristics are the square headlights and lack of automatic gears. These examples were built up until 2002! During their lifespan, these models did receive updates to keep in check with the times. Looking for a second hand Nissan Patrol for sale in Dubai, UAE? Prices start at AED 16,000. In its fourth generation, Nissan revamped the Patrol once again. Keeping its off-road prowess, the Patrol is available as a two-door SUV or a four-door model. Base models are equipped with manual accessories, vinyl interior and manual locking hubs. Higher trims are equipped with air conditioning, powered accessories, central locking and larger rims. Six cylinder motors return once again with various displacements. Both manual and automatic transmissions are available to power either the rear wheels or all four of them. Want to buy Nissan Patrol in Dubai, UAE? Prices start at AED 65,000. In its fifth generation, the Patrol features an all new design once again both inside and out. Front airbags are now standard are seven seats. Optional extras consist of a sunroof, media inputs, CD player, cool box, cruise control and leather seats. A selection of inline six cylinder motors are on offer with both petrol and diesel options. In select regions a four-cylinder model is available. Manual and automatic gearboxes are available to power the rear wheels as standard or all four of them. 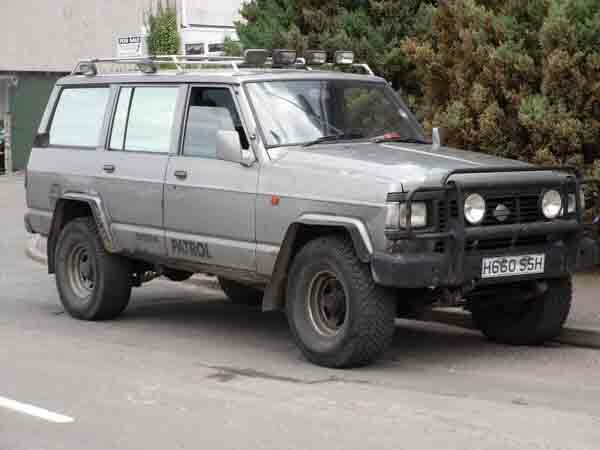 This body style is still produced to this day and is commonly referred to as the Nissan Patrol Safari after 2009. This model still embraces the specifications of this generation while using modern technology and safety options. 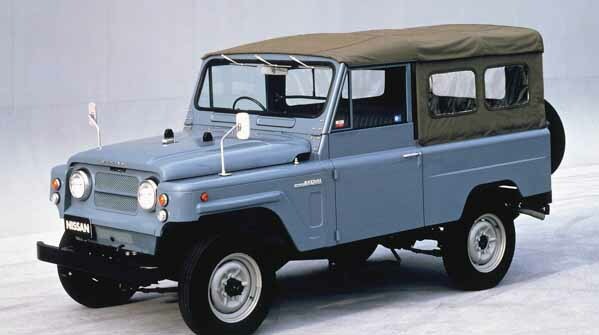 The Nissan Patrol Pickup follows similar cues from this generation and is still in production to this generation. Looking to buy a second hand Nissan Patrol in Dubai, UAE? Prices start at AED 30,000. 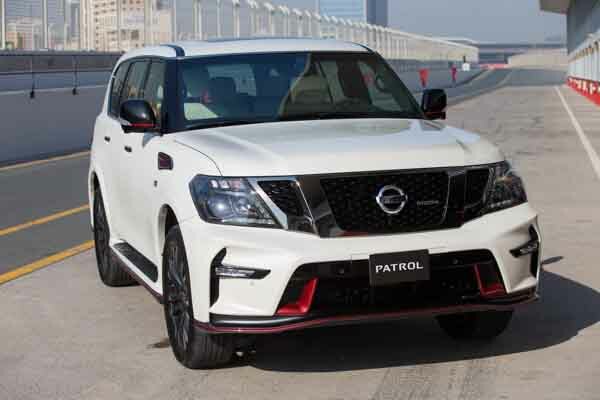 In its sixth generation, Nissan completely redesigned the Nissan Patrol giving it not only a new exterior and interior but larger dimensions as well. XE models serve as base models and are equipped with adaptive headlights, 18-inch rims, rear spoiler, trailer coupling mount, parking sensors, front airbags, cruise control, cool box, fabric upholstery usually black, digital A/C, AUX input, multi offroad selector, keyless start and four speakers. SE models are equipped with all that and an 8-inch media screen, navigation, USB inputs, six speakers, electric sunroof, roof rails and a selection of safety features. Some of these are standard while others are optional exterior. SE Platinum City models boast all of the above mentioned as well as a rear entertainment system, BOSE premium sound system, remote engine starter and multi-function steering wheel. LE models are packed with identical specs as well as a multi-function steering wheel and a few extras. These models don’t have the previously mentioned BOSE system. LE Platinum City has everything mentioned already including the premium sound system, as well as climate control seats, 20-inch rims and plenty of exclusive options. All trim levels are powered by a 5.6-litre V8 petrol motor hooked up to an automatic gearbox powering all four wheels. XE and SE models are rated at 320 horsepower, and LE and Platinum models pump out 400 hp. In 2017 trim, XE and SE models are now equipped with a six cylinder motor instead of the mighty V8. SE Platinum models also lose the cool seat option, but everything else is identical to other trim levels. These models are badged as Nissan Armada in the US and can be differed by the larger bumpers, grille and body cladding. An extensive range of special editions are available in this generation with a fair few being regional exclusive including the Desert Edition which is equipped with 18-inch beadlock rims, extra protection on the undercarriage, on board air compressor and an optional flag. NISMO editions pack a bigger punch and new body accents where has Gannas Edition is similar to the Desert Edition except with different badges. Want to buy a second hand Nissan Patrol in Dubai, UAE? Prices start at AED 85,000.